We recently unveiled the beta version of Android P, which adds more intelligence and simplicity to your mobile experience. Many of the new features in Android P are specifically aimed at the enterprise, bringing additional security for corporate devices, a seamless transition between work and personal use, and flexibility for organizations using devices in dedicated-use scenarios. 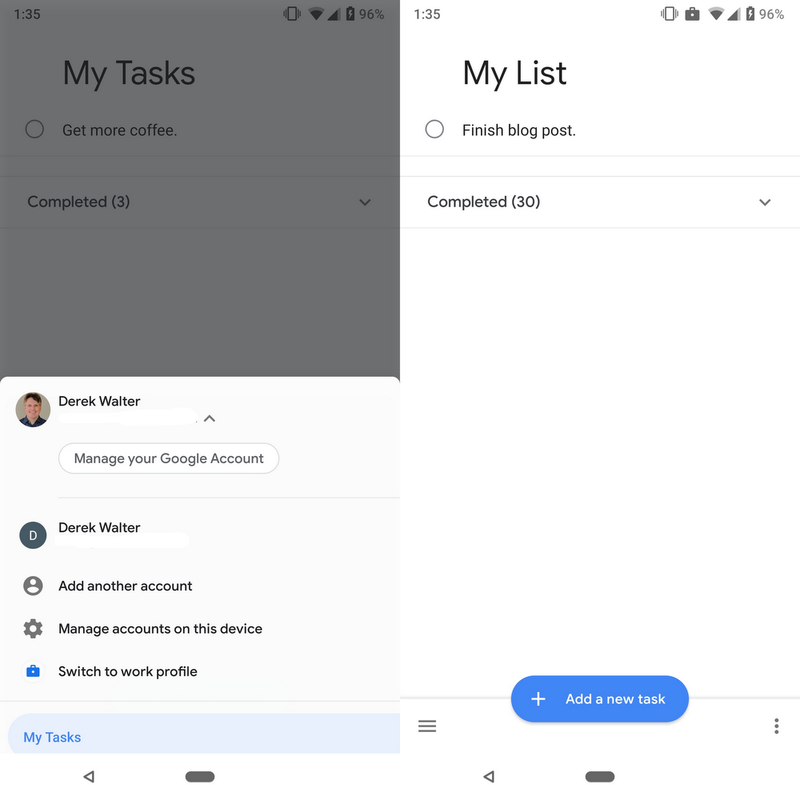 Android P improves the look and performance of the work profile. Work apps now have a dedicated tab in the app launcher, making them more visible and eliminating duplication and clutter. Work apps also have an updated blue briefcase badge that better matches Android’s modern design patterns. While we want to make it easier to get to your work apps, we also think it’s important for your phone to help you disconnect when you’re away from work. So in Android P, we added a switch to turn off work mode right inside the work tab. This disables the work profile apps, notifications and data usage. Work apps are now in a separate tab inside the launcher. Many productivity applications are used with both a work and personal account. 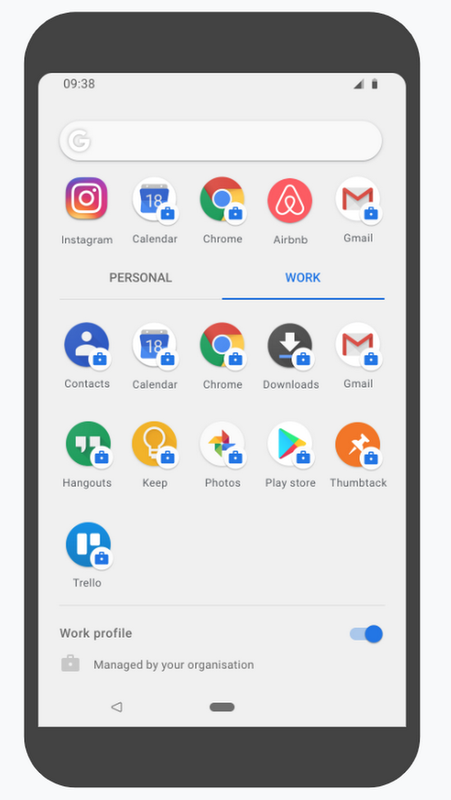 In Android P, app developers can enable seamless switching between work and personal accounts within their apps, removing the need to return to the app launcher. A quick transition zips you from one account to another in apps that you have installed for both work and personal profiles. Google Tasks supports this feature today, with support in other Google apps coming soon. Switch from your personal Google account to a work profile from within the same application. Also new in Android P is support for devices shared by multiple users. Now, shift workers who hand off a device at the end of their day can simply sign out, and the new team member can login and use the device right away. Businesses use Android devices as payment terminals, digital signs, informational kiosks, and in other creative ways to support their customers. This can be done by locking an app to the screen through kiosk mode. Before, IT admins were restricted to locking only one app to a device. Now in Android P, admins can lock multiple apps and quickly switch between them with a dedicated launcher. A restaurant could take your order from a menu, and then switch over to a payment terminal app to complete the transaction. Support multiple apps in kiosk mode. This mode also lets enterprises limit access to device options, such as mobile connectivity or the settings menu, while still allowing users to get notifications and interact with a defined set of apps. Any Android app can be used in kiosk mode, and developers don’t have to build their own custom launchers anymore to switch between apps. Administrators have full flexibility in customizing the user interface with the ability to hide status bar icons, the power menu and navigation buttons, as well as disable notifications. The ability for IT administrators to require different PINs and timeout rules for the personal and work profiles. New APIs that work with keys and certificates to securely identify devices accessing corporate resources. While these are some of the key highlights, there are many other security-focused APIs and features that will benefit those using Android as a company-issued device or personal device with the work profile. View more details on the full set of security enhancements at the Android developers site. 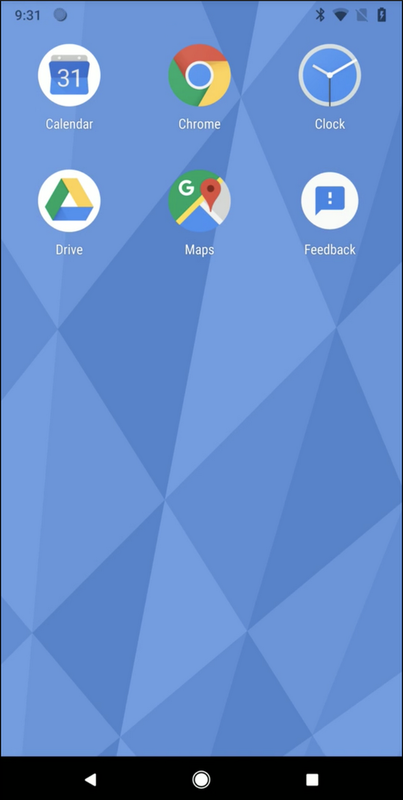 Thanks to the work of Project Treble, an effort to make OS upgrades easier for our partners, the Android P Beta is available for testing on several devices. IT admins who want to experience P can install the beta on Google Pixel, Sony Xperia XZ2, Xiaomi Mi Mix 2S, Nokia 7 Plus, Oppo R15 Pro, Vivo X21, OnePlus 6, and Essential PH‑1.